Buy one meal and a second meal of the same value is free. 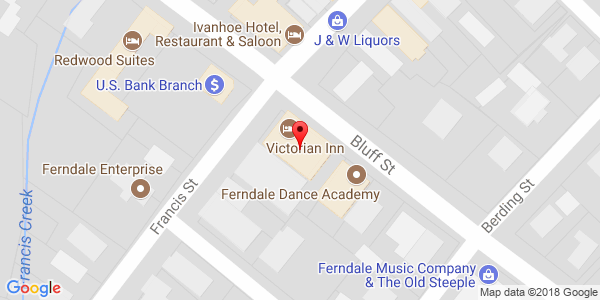 Fine food, creatively prepared, including irresistible home-made deserts, in a fabulous location – The Victorian Inn, Ferndale! Copyright 2018 Eureka Broadcasting Co. Eureka Broadcasting Co., Inc. sales and marketing agreements do not discriminate on the basis of race or ethnicity.